Twenty minutes is all it takes to put that confidence back into place. Spend a few minutes more and you go nine shades whiter for the brightest smile. 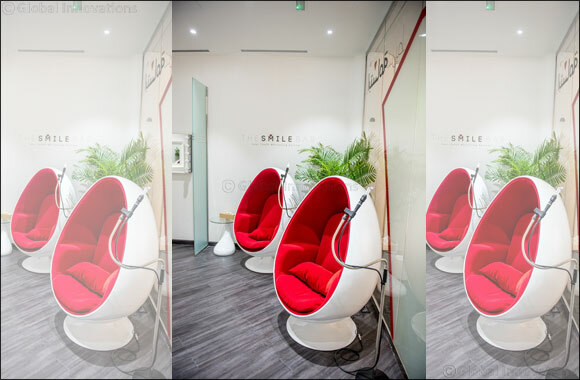 At The Smile Bar, the exclusive dental whitening salon for men and women, visible results happen in only 20 minutes. One can get between to 2 to 4 shades brighter teeth in just one NO-pain session, thanks to the effective and safe teeth whitening gel -- a revolutionary formula from Sweden -- and the sophisticated LED plasma light technology. Together, they produce faster, better and long-lasting results, making it the No.1 choice of many. The Smile Bar provides an easy and effortless teeth whitening service. It is radically changing the way teeth whitening is perceived through its unique dental spa experience for both male and female clients in a very relaxing environment. It offers four treatment packages that include Single Whitening (1 x 20 minutes at AED 290), Double Whitening (2 x 20 minutes, AED 570), Triple Whitening (3 x 20 minutes at AED 850) and Yearly Whitening (12 x 20 minutes, AED 2,900). The Smile Bar also offers products from Swedish ‘Brilliant Smile’ to help maintain post-treatment teeth. Brilliant Smile is a Swedish Trademark. Founded in Gothenburg, Sweden in 2013, it builds its reputation on offering quality products to treat discoloration of teeth, allowing for brighter, whiter teeth without damaging the enamel. Other services include a selection of nail treatments including manicures, pedicures, gelish applications, acrylic & gel extensions for the ladies.